Hello there, Gameologians, and welcome to our weekly thread for the discussion of weekend gaming plans and recent gaming glories. Microsoft’s cancellation of Scalebound, along with finally playing through the gloriously mad demo for Nier: Automata, got me hankering for some of that ludicrous action spectacle that only PlatinumGames can deliver. It just so happens that I picked up Metal Gear Rising: Revengeance for a few bucks during the last Steam sale, and I’ve been enjoying it tremendously. My first time through, I never quite grasped the parry system, where, in order to block and deflect enemy attacks, you have to lash out with a properly aimed attack of your own. It’s an ingenious concept, ensuring that your best defensive option is inextricably linked to acting offensively. There’s no need to stand around, holding down a block button and waiting for your turn to swing. It’s always your turn to swing. 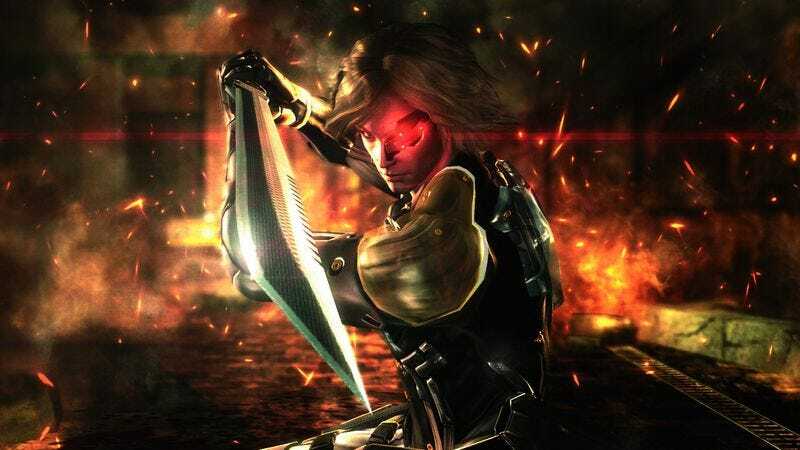 Revengeance, perhaps due to its tenuous connection to the Metal Gear series, was somewhat befuddling upon release in 2013, but it’s aged into a fine, frantic romp. Thanks to the eventual release of that PC version, it’s also the most readily accessible of Platinum’s best works. In fact, the lack of support for the studio’s efforts on modern systems is kind of tragic. Platinum’s last stunner, Bayonetta 2, is stranded on a dead console, Nintendo’s Wii U, and doesn’t seem like it’ll be going anywhere anytime soon. And unless you still have an old system lying around, the original Bayonetta, arguably the developer’s crowning achievement and one of the best action games ever made, is only playable on Wii U and Xbox One via backward compatibility. Worst of all, Vanquish, Platinum’s transcendent send-up of Gears Of War-style shooters, isn’t playable on any current consoles, but it’s one of the few games for which I’m willing to dig out my Xbox 360. In fact, that sounds like a solid weekend plan right there.